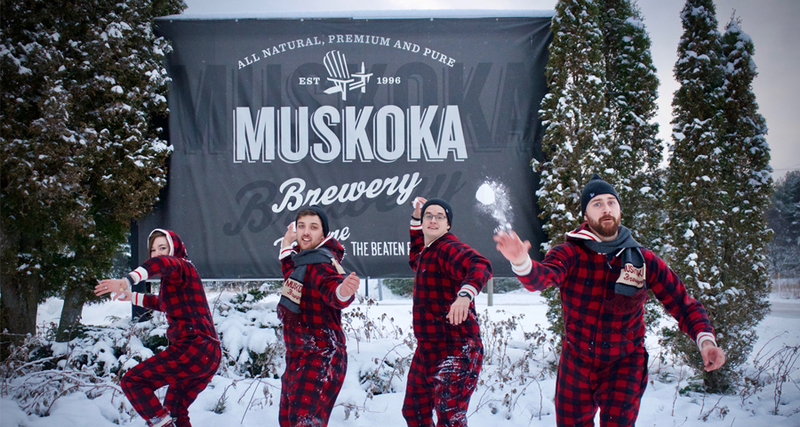 Get into the festive spirit with Muskoka Brewery at their Winter Village event on Saturday, December 8th. 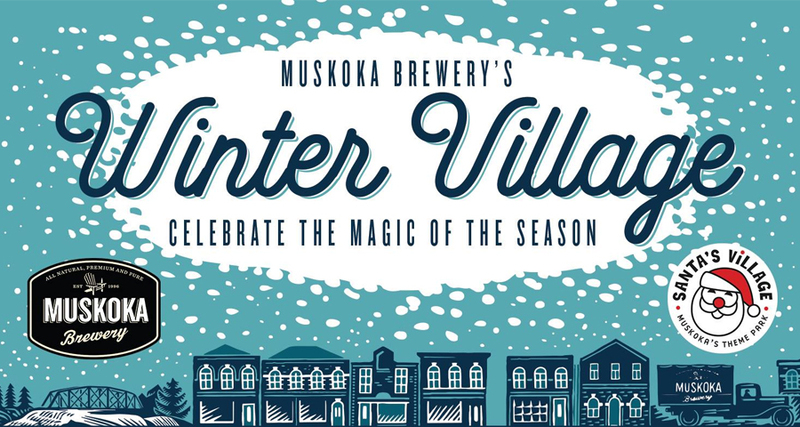 Muskoka Brewery’s Winter Village is a holiday marketplace with something for the whole family. Vendors will be on site selling a wide variety of handmade goods, there will be delicious treats to sample, and of course – craft brews and cocktails to tempt the adults. 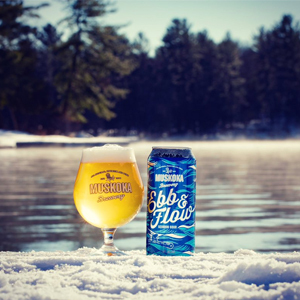 Be one of the first to sample Muskoka Brewery’s newest release, Ebb & Flow, a Session Sour that’s citrusy and tart with a light-bodied finish – a perfect easy drinking brew with just 2.4% ABV. And once you’ve had a taste of the newest member of the Muskoka Brewery lineup, be sure to have a sample of their other tried and true favourites, including their small batch distilled spirits. Partnering with Santa’s Village, they’ll be lots to do on site for your kiddos as well. They’ll be hosting a special kids only workshop with crafts, holiday decorating and other fun activities. And they won’t want to miss the special visit from Speaking of Wildlife. They will be leading two interactive presentations featuring native Ontario wildlife ambassadors and a wildlife interpreter. You’ll have to be there to find out which animals they bring along – Striped Skunk, Snake, Red-Tailed Hawk, Turtle, Groundhog, Great-Horned Owl, Raccoon, Rock Dove, or Eastern Grey Squirrel. Speaking of Wildlife staff will teaching the crowd about each individual animal, their species, adaptations and habitat. Don’t miss the half hour presentations, offered twice during the event at 1:30pm and 2:30pm. The event will also feature live music by local favourites Tobin Spring & Papa John all day long. Check out a complete list of participating vendors below, and don’t miss the Muskoka Brewery Winter Village event on Saturday, December 8th from 12pm-5pm. Why not make it a weekend and tour one (or two, or five…) of the other breweries in the region as well! Deerhurst is declaring a craft beer month – and who better to celebrate than with than our official beer partner, Muskoka Brewery, the original craft brewery in Muskoka? Your craft beer discovery retreat includes accommodation at Deerhurst, a VIP tour of Muskoka Brewery with sampling and special discount on Muskoka Brewery merchandise and a sampler 4-pack Muskoka Brewery craft beer delivered to your room. $75 / 50 minutes – Call to book this unique spa experience: 705-789-7113 x4488. For details click here.